Ever since we got back from our trip to Philly, I've been craving a delicious Philly cheese steak. Of course, nothing can compare to an actual cheese steak done up right in "The City of Brotherly Love". I found a few different recipes on Pinterest for Philly Cheese Steak Sloppy Joes which actually uses ground beef instead of steak. Believe it or not, you can't even tell that it's not steak! I made it tonight and my family loved it so much, that even my picky 7 year old ate it! This child refuses to eat ground beef unless it's in patty form and formally called a cheeseburger. 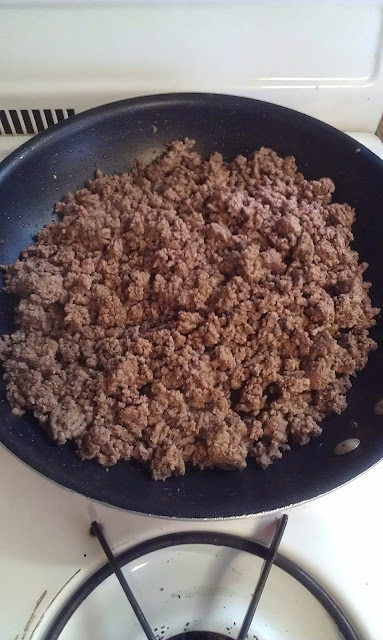 Brown ground beef in skillet over medium heat. Drain grease. 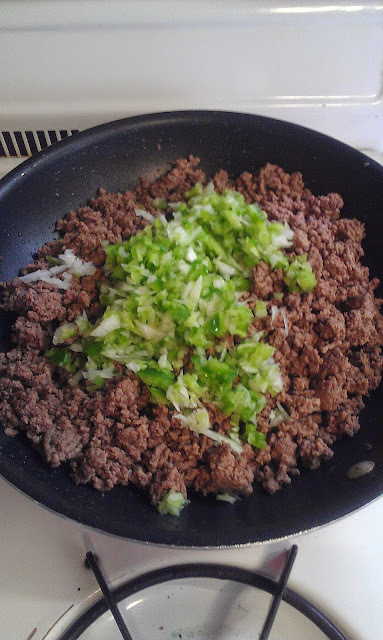 Add the diced onion and peppers and cook until fragrant and veggies are softened. Add your 1 cup beef broth. 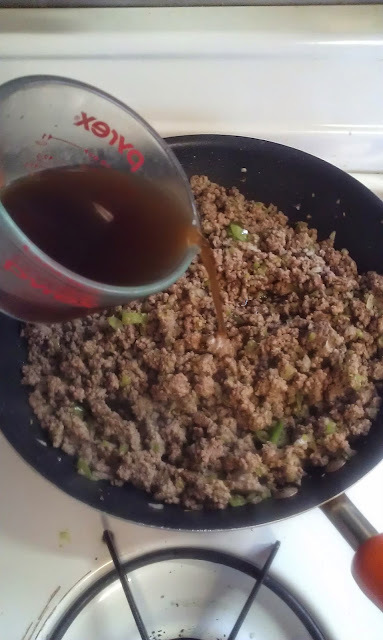 Next add the 3 tablespoons of steak sauce and a little salt and pepper. 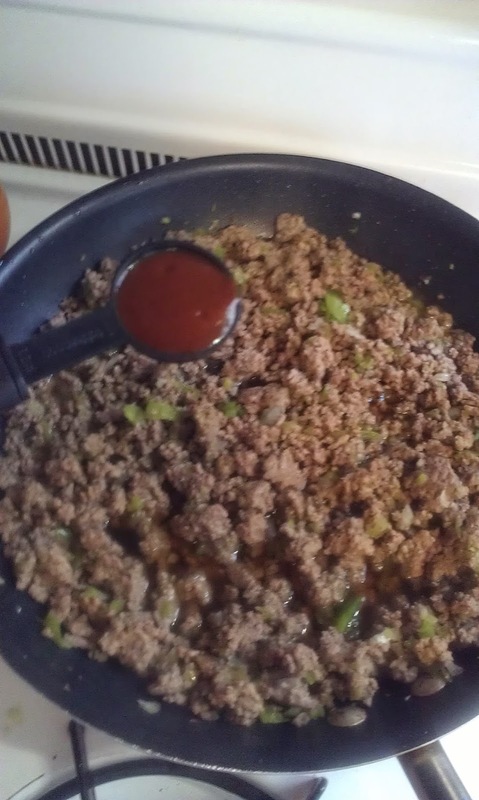 (I also added a dash of steak seasoning). Bring mixture to a boil and allow to cook 5 minutes, stirring occasionally. Set your oven to broil and place your oven rack on the top 1/3 of your oven. 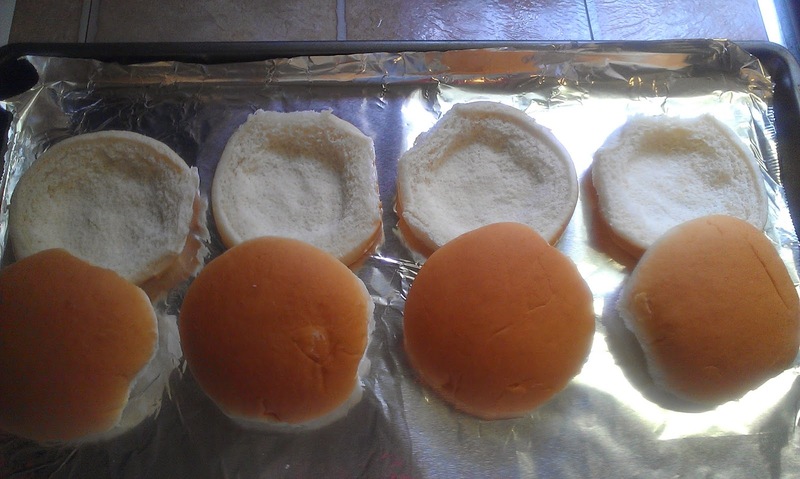 "Hollow out" the bottom half of the bun by pressing around the inside. This will give a nice little "bowl" to hold the meat mixture in. Spoon meat mixture onto buns and top with cheese. Heat on the top 1/3 rack in oven and broil for 1 minute. Keep an eye on them, checking after 30 seconds, to make sure they don't burn. Broilers are fast at melting and crisping food. 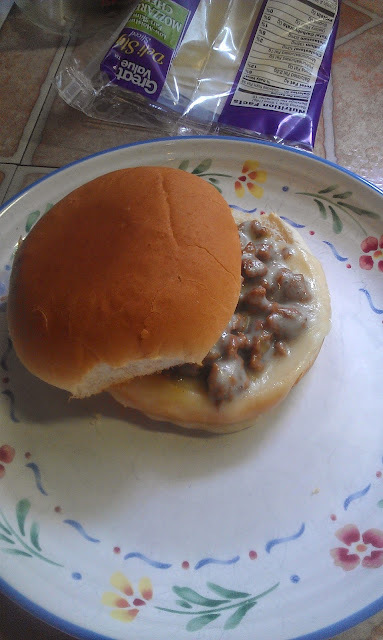 Mine melted a bit too much for my taste, but my husband loved that the cheese mixed in with the meat mixture as opposed to just laying on top. 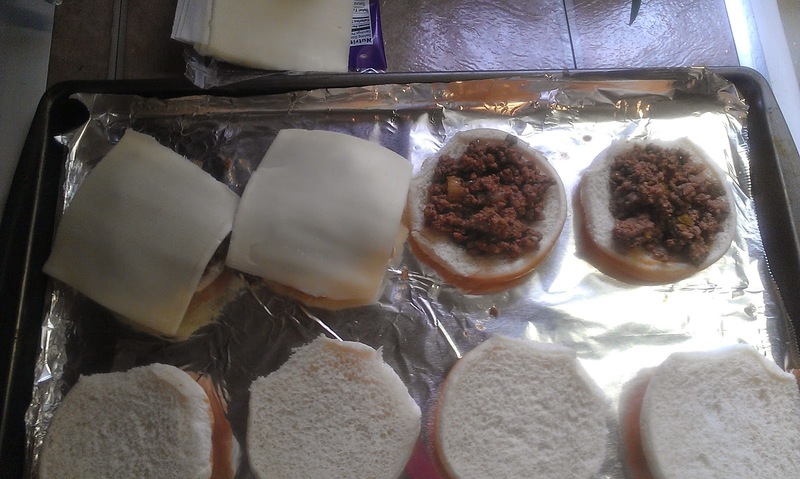 Put top half of bun on meat and cheese mixture and serve.